Amazing place! You can spend here all day. Very convenient to use Klook ticket. No lines and quite cheaper. The Flower Dome and especially the Cloud Forest is an extraordinary place to visit. within a few hours you can see and experience a wonderful world of plants, trees and flowers and also learn how to save this treasure for future generations. Great! The Flower Dome and especially the Cloud Forest is an extraordinary place to visit. 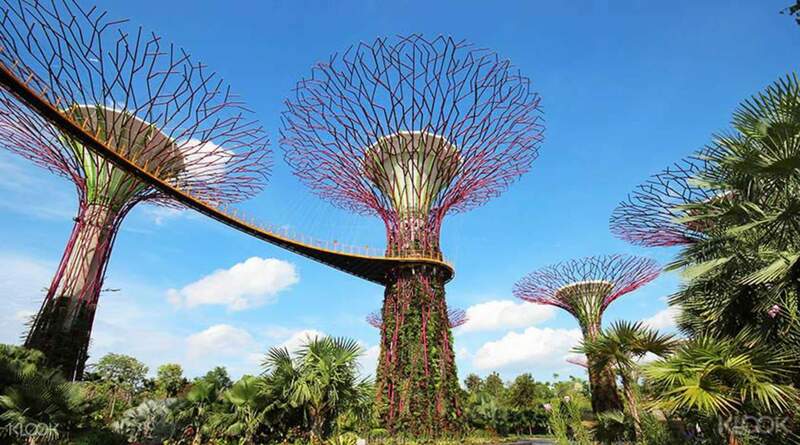 within a few hours you can see and experience a wonderful world of plants, trees and flowers and also learn how to save this treasure for future generations. Great! Thanks to Klook we didn't have to fall in line to buy tickets. Flower Dome is full of pretty flowers and plants. 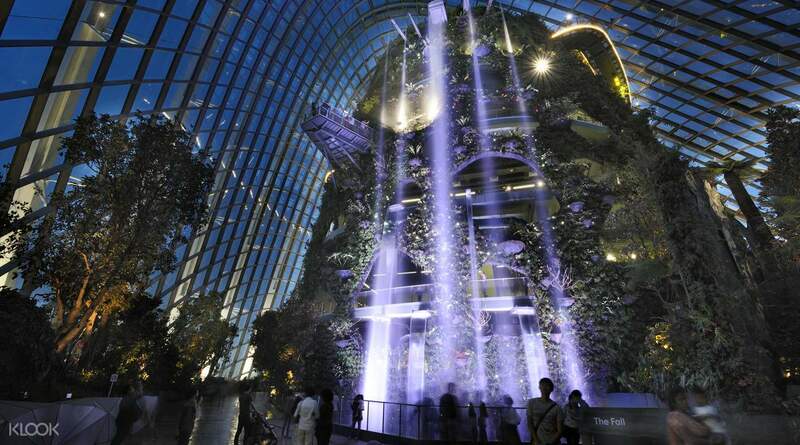 Cloud Dome is also good, there is an artificial waterfall and rare plants. 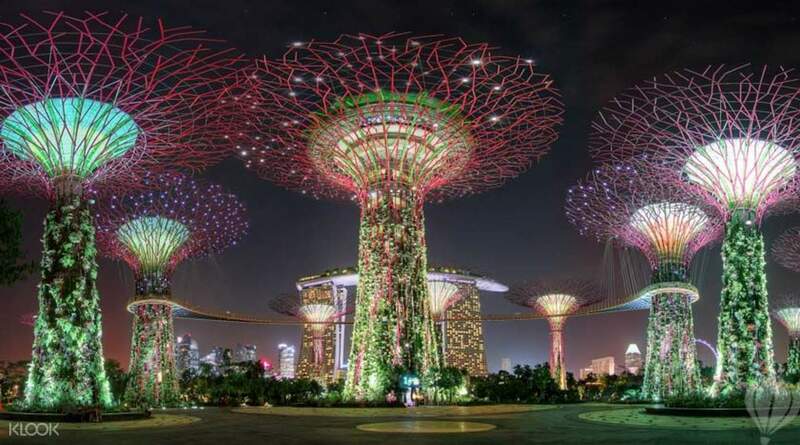 Don't forget to watch Gardens by the Bay Light show at night. Thanks to Klook we didn't have to fall in line to buy tickets. Flower Dome is full of pretty flowers and plants. 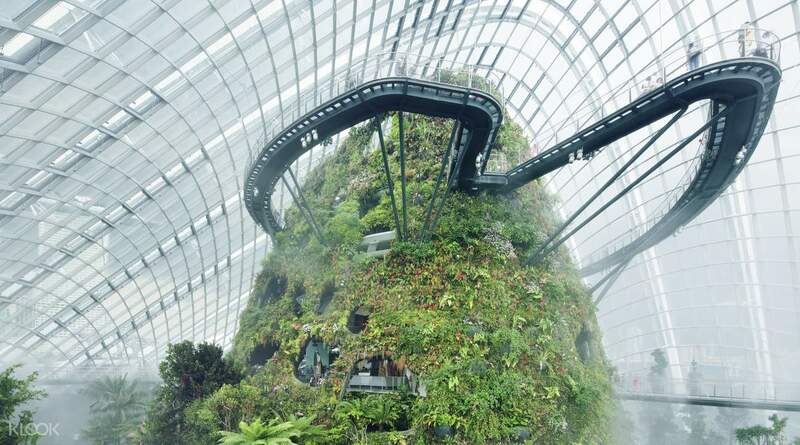 Cloud Dome is also good, there is an artificial waterfall and rare plants. 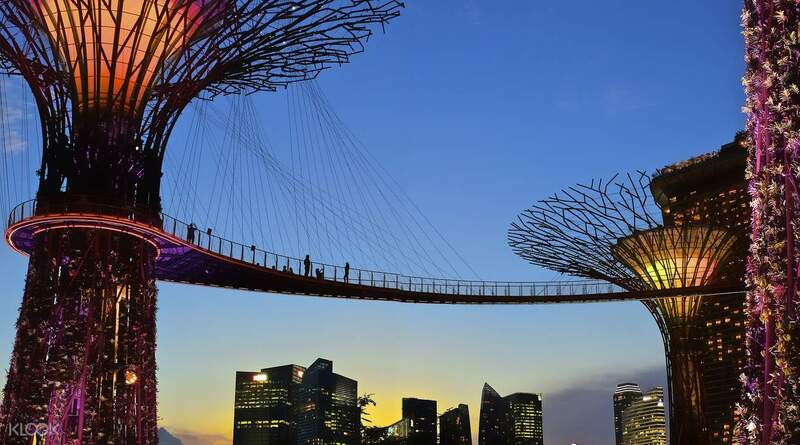 Don't forget to watch Gardens by the Bay Light show at night. Well, great experience in Flowers Dome. Loving all the nice fragrances from different flowers. Family friendly but pretty crowded due to weekend. A bit hard to take nice photo but overall very nice. Worth the price. Well, great experience in Flowers Dome. Loving all the nice fragrances from different flowers. Family friendly but pretty crowded due to weekend. A bit hard to take nice photo but overall very nice. Worth the price. The cloud forest is definitely one of a must visit place with every environmentally explication. And it would be better if you visit the place around 3/4 until might goes down because the light will be beautifully turned on. The cloud forest is definitely one of a must visit place with every environmentally explication. And it would be better if you visit the place around 3/4 until might goes down because the light will be beautifully turned on. One of the most beautiful places I have ever seen. the place is beautifully designed and constructed and exquisitely maintenaned by the government. it had enough attractions in it to keep us occupied for an entire day. the cloud forest was the crown jewel and you can easily spend half a day inside it. the whole place is air-conditioned so you can plan it in mid day with the other open air attractions in morning and night. the super tree grove has a beautiful light show that is mesmerizing. if you time it right so that you are on the bridge when the show starts you will get to stay on the bridge until end of show, which is much much better than viewing from ground. the tram ride is very useful though we got to use it only once. the place it laid out in a way that one attraction follows another, eliminating need for tram. but the initial walk is long enough that it is better to pay for tram. start by noon with covered attractions which are cooler and start with open air gardens by late evening culminating in light show at night. carry a power bank with you cuz your phone is sure to run out of charge with the sheer number of photo worthy spots. One of the most beautiful places I have ever seen. the place is beautifully designed and constructed and exquisitely maintenaned by the government. it had enough attractions in it to keep us occupied for an entire day. the cloud forest was the crown jewel and you can easily spend half a day inside it. the whole place is air-conditioned so you can plan it in mid day with the other open air attractions in morning and night. the super tree grove has a beautiful light show that is mesmerizing. if you time it right so that you are on the bridge when the show starts you will get to stay on the bridge until end of show, which is much much better than viewing from ground. the tram ride is very useful though we got to use it only once. the place it laid out in a way that one attraction follows another, eliminating need for tram. but the initial walk is long enough that it is better to pay for tram. start by noon with covered attractions which are cooler and start with open air gardens by late evening culminating in light show at night. carry a power bank with you cuz your phone is sure to run out of charge with the sheer number of photo worthy spots.